What is Outlander Science Club? What do you get when two Outlander fans meet, a midwife and a doctor? You get Outlander Science Club. 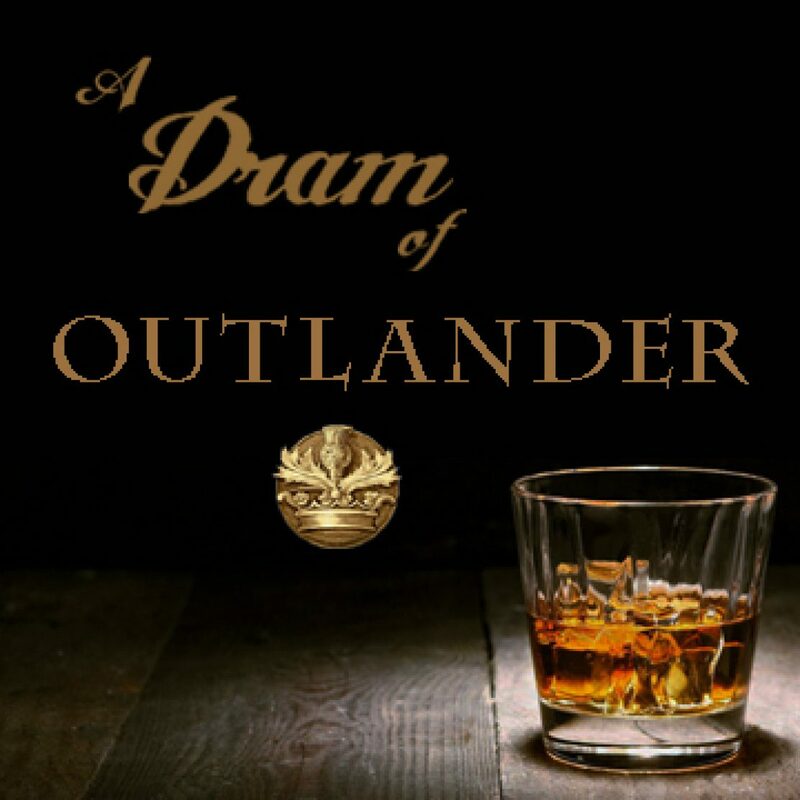 I already had planned to do a Voyager podcast read-along to pass the droughtlander time, but wanted a twist, something new to offer my audience. When Karen Daugherty and I met through Rocky Mountain Sassenachs, it was kismet. Lightning in a friendship bottle. During our first conversation we accidentally came up with OSC. With a pause and double take, quickly we decided the idea was a good one. The next step was to do the Voyager read-along with a side of Outlander Science Club. That was that…and Outlander Science Club was born. Voyager is the favorite book for many Outlander reader fans. It’s salve and redemption to Dragonfly In Amber. Karen and I are not different. We adore it. And both of us also have mutual love for Claire’s beautiful brain. Her ability to listen to the body as a healer, whether in the 20th century or the 18th century. Her ability to recall treatments for a variety of maladies. Her simply being who she is. Where can you find the podcast? You may listen to the podcast directly, at Outlander Medicine, or through the iTunes, Stitcher, and Google Play apps. What’s Coming up? There are weekly prompts to follow in the podcast. How can you participate? 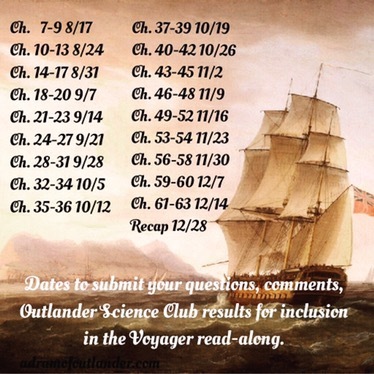 To have your Outlander Science Club results submitted for an upcoming podcast, email or call in to the listener line 3 days prior to airing for inclusion (see schedule below). Follow the science prompts each week, research the topic, then share on ADOO or Outlander Medicine’s social media or call in to the ADOO message line 719-425-9444. Comments or messages may be included in the podcast or a written post. The hashtag to use is #OutlanderSciClub.